Happy 100 episodes, NCIS: Los Angeles. This is a photo from that major installment. 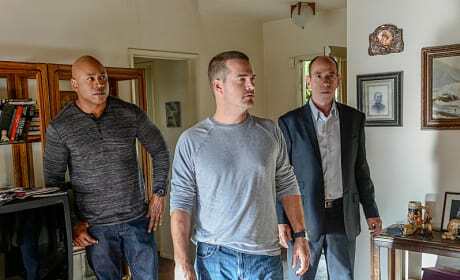 This is a scene from a special episode of NCIS: Los Angeles. The show has turned 100 episodes old! It's the 100th episode of NCIS: Los Angeles. 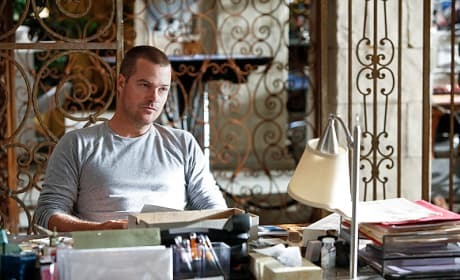 And Callen chills at his desk in this photo.